Reward Badges have been rolled out on your eYeka profile ! There is something new on eYeka! Early risers may have noticed a new section on their “My eYeka” page. 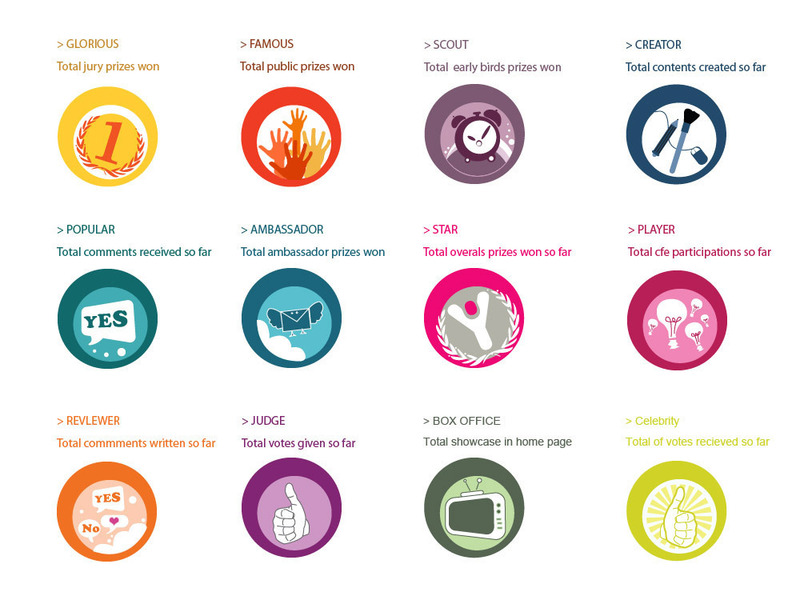 Indeed, a new feature has been launched today: The eYeka Reward Badges! Taking up a system which has already been used by the most avant-gardist online communities, the use of badges is a dynamic reward process which enlightens your activity on eYeka. A single type of badges can display a variable amount of stars which are representative of the activity that you reached on eYeka. 5 types of badges have been defined so far: - Awarded Prizes - Received and Given Votes - Received and Given Comments - Call For Entries Participations - eYeka’s Home Page Showcases Find out more about the designs and the different categories of badges below. This rewards system is brand new on eYeka and the Beta version is currently available. Therefore, we can’t wait for your feedback on this new feature! So please, do not hesitate to leave your comments on this blog post and to share your thoughts on how to improve the system. Also, let us know if you feel like taking care of the design of these badges at the time of a call for entry, not for a brand this time, but for yourselves! You've got an overflowing creativity, and we know that! ;) Wishing you a fully starred profile, we can’t wait to read from you!